Goshenite: Mineral information, data and localities. From the locality where it was first found. 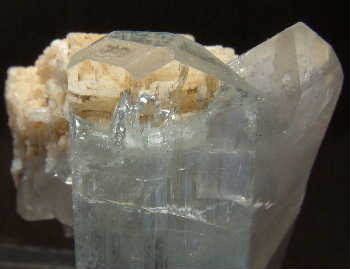 An almost colourless variety of beryl. Visit gemdat.org for gemological information about Goshenite. Muscovite 92 photos of Goshenite associated with Muscovite on mindat.org. Schorl 83 photos of Goshenite associated with Schorl on mindat.org. Albite 39 photos of Goshenite associated with Albite on mindat.org. Quartz 33 photos of Goshenite associated with Quartz on mindat.org. Fluorite 24 photos of Goshenite associated with Fluorite on mindat.org. Elbaite 23 photos of Goshenite associated with Elbaite on mindat.org. Morganite 22 photos of Goshenite associated with Morganite on mindat.org. Cassiterite 17 photos of Goshenite associated with Cassiterite on mindat.org. Cleavelandite 16 photos of Goshenite associated with Cleavelandite on mindat.org. Lepidolite 15 photos of Goshenite associated with Lepidolite on mindat.org. 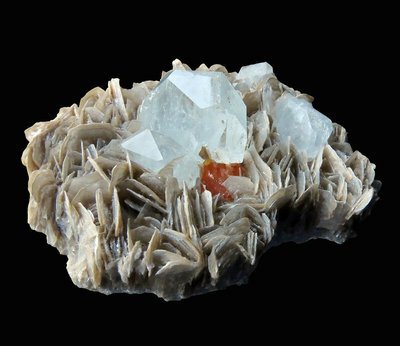 The following Goshenite specimens are currently listed for sale on minfind.com. Rob Lavinsky (es. 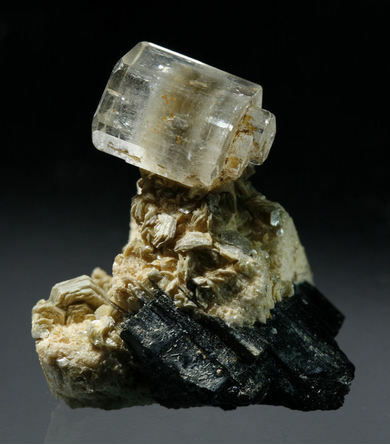 Heini Soltau specimen); Cairncross, B. and U. Bahmann (2006) Famous Mineral Localities: The Erongo Mountains Namibia. Mineralogical Record 37, #5, page 457. Dudley Blauwet; Pakistan: Minerals, Mountains and Majesty, pag. 44; Lapis International, 2004; MARWAT, S. K., & ALI, A. TECHNICAL/SUB û SECTOR STUDY ON GEMSTONES IN BALTISTAN, NORTHERN AREAS GEM SECTOR DEVELOPMENT PROJECT BALTISTAN CULTURE & DEVELOPMENT FOUNDATION (BCDF). Osborn, P. 2006. Personal communication between Philip Osborn, Hemet CA. (discoverer/owner) and Scott L. Ritchie, SDMC; 07/25. Fisher, J. 2002. Gem and rare-element pegmatites of southern California. Mineralogical Record, Volume 33, Number 5: pages 390-396, photographs. Osborn, P. (2005) Personal communication between Phillip Osborn of Hemet and Scott L. Ritchie of Temecula, California; description of beryl discovery on southwestern most Oceanview lode exposure; March. Jahns, R. H. and Wright, L. A. (1951), Gem and Lithium-bearing pegmatites of the Pala District, San Diego County, California. California Division of Mines special report 7A: 40. Rocks & Min. :59:15 & 64:7. Harvard Mineralogical Museum; Scovil, Jeffrey A. (1992): Famous Mineral Localities: the Gillette Quarry, Haddam Neck, Connecticut. 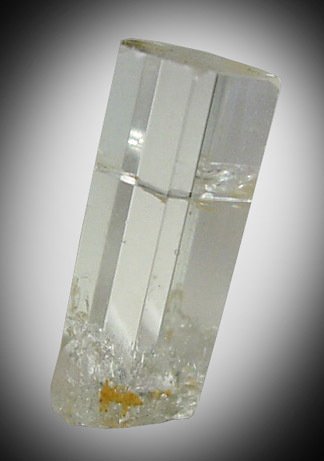 (Mineralogical Record, 23(1):19-28. ); Harold Moritz collection. ⓘ Mount Rubellite Quarries ?